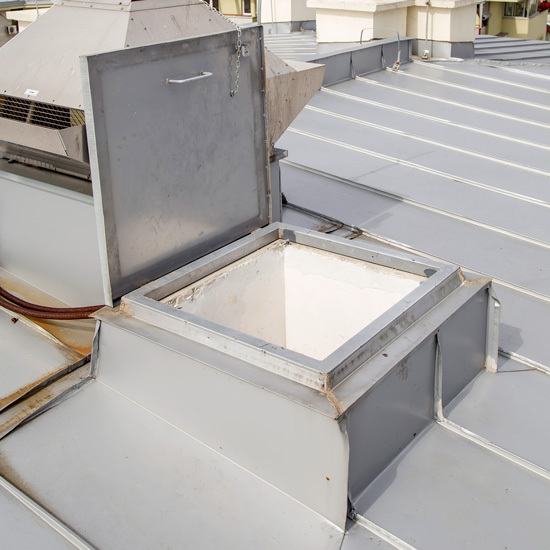 Roof hatches are used to provide access to the rooftop for install, service, or maintenance of RTUs. We supply a variety of makes and models depending on what you are looking to achieve, such as energy efficiency, security levels, design, safety, and custom-fit to stair and ladder type access desired. Louvers are manufactured with weather-tight assembly, hinged openings, various colors, and custom features to meet your needs.